Now is not the time to despair or let it go of hope. Taking hold of a prophetic word is essential in its season. It is an acknowledgement by faith of that which you may not feel, but choose to accept. It is the time to lift up the words He has spoken to you and wave it before Him as an offering of victory and acceptance. It is the acknowledgement and acceptance of His Promise by faith. “We have sinned against the Lord. We will go up and fight, just as the Lord our God commanded us.” So each of you girded on his weapons of war and you thought it easy to go up into the hill country. 43 So I spoke to you, but you would not listen. Instead, you rebelled against the commandment of the Lord and went presumptuously up into the hill country. Let me ask, have you grumbled in your heart over the multitude of prophetic words released recently of blessing because yours has yet to come? Have you said in your heart, “I don’t want to read one more word like this,” and so you choose to reject further words and in so doing reject the very provision that begins the rain in your soul to harvest? We must keep the soil of our heart fertile. ALSO SEE: Are You Waiting for Your Harvest? And yet there is a now word/season of blessing that we are to go forth and possess for those that will take hold of it. Let me encourage your heart with what the Lord reminded me this week. You shall not: fail, be made less, be evaded, be decreased, be caused to fail, be made lower, be abated (or put an end to), be nullified, reduced in intensity, degree or value, be omitted, be beaten down, cut away or deprived. You shall not be removed! But it doesn’t stop there. As our Shepherd (protector and provider) He makes us to lie down in green pastures. Green pastures refers to a “pleasant abode, house or habitation” That is a word of confirmation for those who have stood for their own safe haven and home. Many need to refocus their eyes on the fact that He is our protector and provider. It is who He is and He doesn’t change. 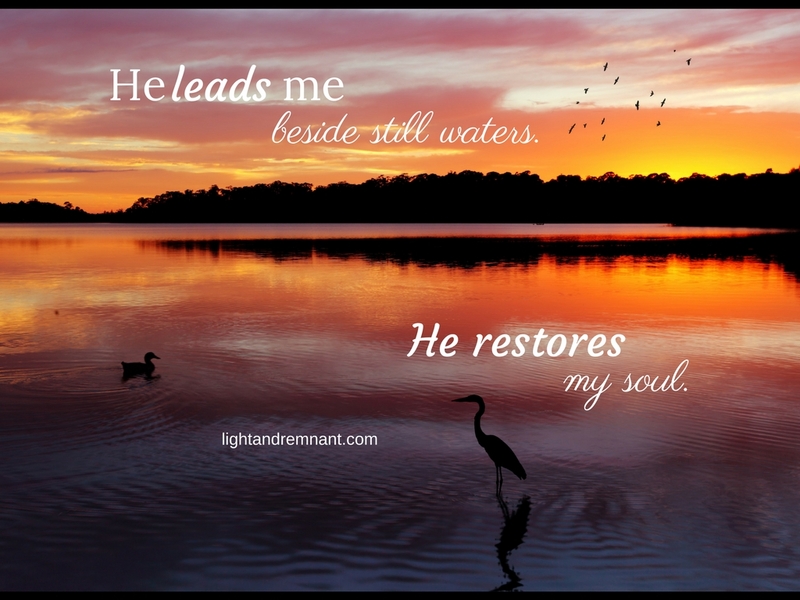 He leads us beside quiet waters. See Him now taking you by the hand to lead you into that place of deep and abiding peace that fills our soul to rest even in the midst of a storm. That is where He is leading us. He does not leave us to wander alone. Don’t miss the blessing of this season because of discouragement that would try to rob the word of this moment. Take hold of it. Wave it before the Lord. Let your hope be the anchor your faith to sink deep in the Lord as it is a word that will restore your soul. His Word never fails and the blessing IS on its way to all who take hold of this hour.